Neil Lubell is an elite Austin area real estate Professional who is known for dedication to his clients and consistent performance bringing them successful outcomes to their real estate transactions. 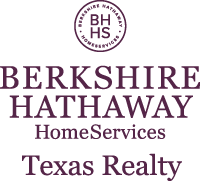 Neil Lubell and his brokerage, Berkshire Hathaway Texas Realty, have always stayed ahead of the technology, innovation, and performance curve maintaining a place among the top names in Austin Real Estate as the city continues to grow rapidly. Please explore the resources on my website; both present internally and accessible through links. Please feel free to contact me if you have any questions, no request is too small. Call, email, or text when ready to schedule a free home selling consultatio, start the homebuying process, or seek property or HOA management.